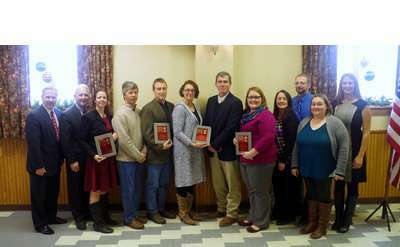 These local businesses, agencies and organizations provide the goods and services to the greater Glens Falls region, from health and safety, sports and fitness to grocery stores and dry cleaners. Browse the listings and support your local community businesses. The Teen Awareness Group(TAG)of Hudson Headwaters promotes informed, safe & responsible healthy behaviors for today's young people and is funded through a New York State Department of Health Comprehensive Adolescent Pregnancy Prevention(CAPP) grant. 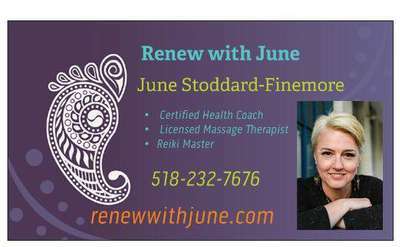 Renewal and enrichment awaits you at Wiawaka. Your all inclusive stay provides healthful meals, lodging, workshops, yoga & pilates, lake swimming, walking trails & gardens.Season and day passes. Listed on the National Register of Historic Places. The Conkling Center (formerly known as The Glens Falls Home, Inc.) is a private not-for-profit operating foundation committed to enhancing the quality of life for community members age 55+. Saratoga Bridges is committed to advocacy for individuals with disabilities by providing resources that enable them to live enriching lives in communities where they are valued for their abilities and contributions. Orthopedic & Spine Physical Therapy, PC is physical therapist owned practice started in 1996 with visions to better serve the community for physical therapy services. Excellence is what we strive for and Excellence is what you see! 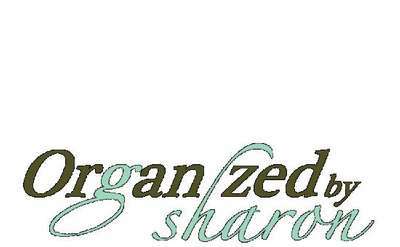 Organized by Sharon, has services to assist you with everything from Home Organization, Downsizing, Combining Households and New Home Setup to Redesigning your rooms to be more efficient. The Open Door Mission is a Christian ministry that has been providing hot meals and other services and help to the poor and homeless in the Greater Glens Falls area since 1991. 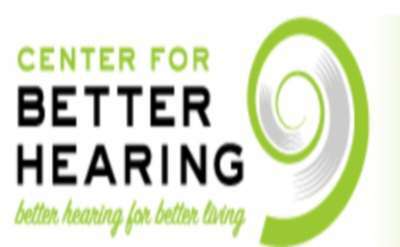 Dr. Susan Boggia and her team at the Center for Better Hearing diagnose and treat hearing problems. They can help find assistive technology like phones and TVs specially designed for the hearing impaired, as well as fit patients for hearing aids. The Litwa family is committed to helping improve your "mobility ability". We sell new and used mobility equipment such as Wheelchairs, Scooters, Power Chairs, Rollators, Batteries and much more. We also repair and rent equipment at reasonable rates. The Washington County, NY Local Development Corporation provides economic and community development assistance; in partnership with local, regional, State and Federal agencies. Sexual Trauma and Recovery Services provides a wide range of free and confidential services to all victims of sexual assault in Washington County- past or present, children or adults, friends or family. Saying a final goodbye is never easy. M.B. Kilmer Funeral Home of Fort Edward is here to help you through this difficult time by easing the burden of the loss and celebrate a life well-lived. East Field, located on Dix Avenue in Glens Falls, NY, is a multi-use outdoor recreational facility used by sports teams, groups, and local residents. It features a baseball field/football stadium, a pool, small playground, and more. 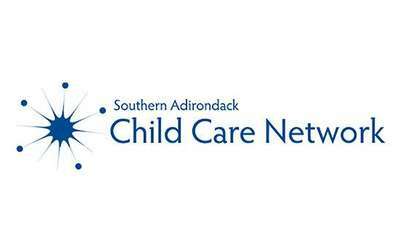 The Southern Adirondack Child Care Network is a not-for-profit child care resource and referral agency serving Hamilton, Warren and Washington counties in New York. Our mission is to strengthen the quality of children's early care and learning. 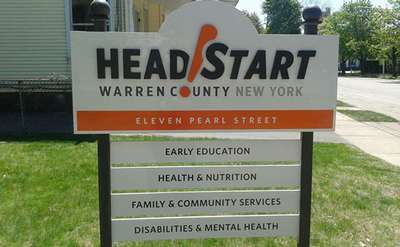 Warren County Head Start, Inc is a federally funded program for pregnant women and children ages birth through 5 years old and their families. Ace Carting provides residential and commercial waste collection and recycling in Northern Saratoga, Warren and Washington counties. They also provide roll-off dumpster containers for your commercial or industrial needs. 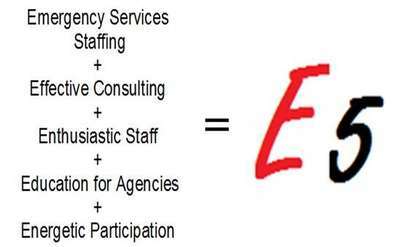 E5 Support Services was created to fit the needs of today's First Response Agencies. From emergency services consulting to training and staffing, our professional services can help your agency be successful by meeting your needs. 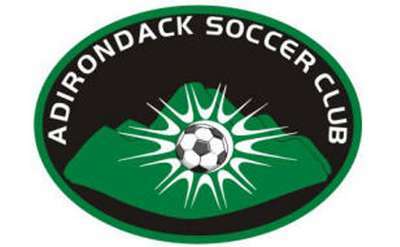 fostering, encouraging and promoting the game of soccer for the youth of the Adirondack Region of New York State. Our mission is to make every pet who visits Bellyrubs feel like a part of our family when they can't be with theirs! We offer doggie daycare, boarding, grooming and cat boarding services. In memory of original owner Joseph Forth, the staff at the Tattoo Clinic in South Glens Falls carries on his legacy of quality tattoos and piercings in a clean, safe environment. For more than 65 years, Prospect Center has been committed to meeting the needs of individuals with disabilities in Queensbury, NY and beyond. It offers a wide variety of medical, therapeutic and educational services and resources to assist families. 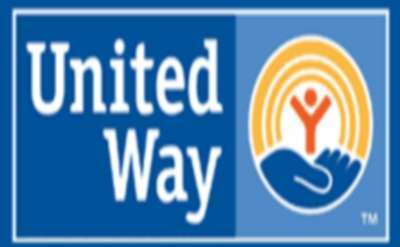 The Tri-County United Way has been helping those in our area since 1923. 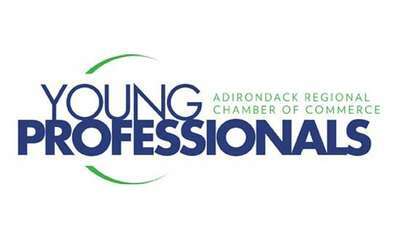 Join the Adirondack Young Professional Group to start networking with other area professionals and get involved in your community. Fostering the youth of the Greater Glens Falls region in the southern Adirondacks in the sport of ice hockey offering programs beginners to travel teams. Hot Yoga Queensbury offers a variety of classes for all levels of yogis in an environment that will inspire, challenge, and support you. All of the teachers are Yoga Alliance certified to ensure the highest quality instructors teaching the class. Employee Assistance Program of Warren, Washington and Saratoga Counties, Inc. The Employee Assistance Program of Warren, Washington and Saratoga Counties, Inc. helps clients when work or life gets too stressful. We are a 501c(3) non- profit animal rescue shelter located in Corinth NY. Our doors are open to abused, abandoned, unwanted and neglected animals both locally and beyond. We have a wellness clinic with Dr Julie Cornell DVM. PH:654-6220 for more info. MasterCuts, inside Aviation Mall, is a casual, affordably-priced salon for clients looking for a change. There usually are ongoing specials on salon products including brands such as Paul Mitchell, Biolage and Redken. Ask about the MC Perks program. Providing healthy, fresh, and sustainable food and goods that are easily accessible to the community and support our local producers and economy through a member-owned cooperative. Keep your dollars local and your community will be a healthier one. The Old School House LLC Professional Building is located on Bay Road in Queensbury. Find high-quality pet foods, large animal feed, wildlife supplies and more at Sutherland's PetWorks. Don't miss their backyard dog park or adoption clinics with local shelters & rescues. Family Service Association of Glens Falls is a non-profit that helps families in crisis or emergency situations. They provide emotional support as well as food, clothing, shoes and some medical services to families in need. A view of the outdoors, a plush bed, relaxing music and air conditioning. While you're on vacation, your cat will be too. The Country Kitty B&B even accepts Kitty Mail while you're away. To find out more information about the Habitat for Humanity of Northern Saratoga, Warren and Washington Counties, visit www.glensfallshabitat.org. 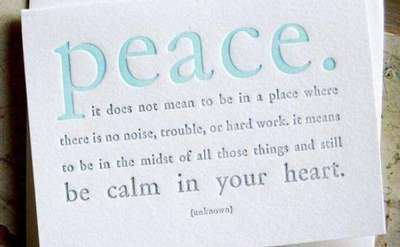 North Country Ventures, a subdivision of CWI provides contract manufacturing to help you mind your business! North CountryARTS is a volunteer run membership arts organization whose mission is to provide opportunities, encourage and promote artists in the North Country. Conveniently located inside Wal Mart, the experienced staff at Regal Nails in Saratoga believes everyone deserves the chance to feel like a queen. Choose from the latest trends in nail art and color. 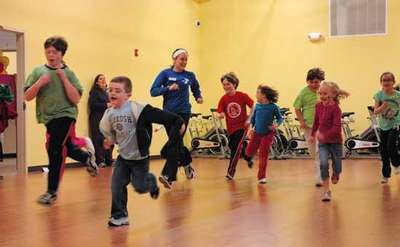 Locally owned since 1994 by a Lake George High graduate, Fitness in Motion offers sport-specific training, cycle energy classes and personal training classes in small groups. Nipper Knolls Therapeutic Riding Program provides people of different abilities the opportunity to experience the joys of horsemanship in a safe and friendly environment. Changing lives one stride at a time. At North Country Cat Hospital, Patricia Evans DVM and her small staff offer the personalized service and care you and your cat deserve. We've always been your connection for great used jeeps and your professional Jeep service center, but now Nemer is an official Jeep Dealer. This means we're your source for New & Used Jeep, Jeep Parts and Jeep Service! The National Kidney Foundation is a voluntary not-for-profit health organization. Brant Lake Taxi & Transport Inc. 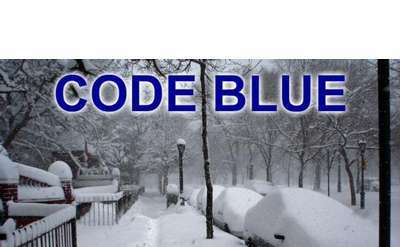 Serving Brant Lake & the surrounding communities Reliable, Friendly & courteous service 14 person shuttle now available !! Located only a few minutes from Glens Falls, this animal hospital will treat your pet like one of their own. Guys & Gals Hair Salon, Inc.
Open Monday through Saturday, Guys & Gals Hair Salon in Queensbury offers cut and hair color services. Let their experienced team transform you today! Serving the town of Queensbury, West Glens Falls Emergency Services is made up of over 50 certified EMT, driver and advanced care volunteers. At A Child's World, the indoor gym and in-ground pool sets them apart from other area daycare centers. With swimming lessons and free swim over the summer, your child will love coming back. Playing in the mud isn't just for kids anymore! Envelop yourself in a full-body mud wrap, or choose from any of the other relaxing spa options like a full body massage or heated whirlpool massage chair treatment at Emerald Springs Spa. A Cut Above barber and beauty shop will make your whole family look stylish. The friendly barbers are happy to take walk-ins. We are a Western Star Truck Dealership in Upstate New York with quality commercial vehicles, great prices, factory parts, and a full service shop with certified technicians for Detroit, CAT, Cummins, and FUSO engines. Warren Ford - Mercury Inc., a Ford Mercury dealer in Warrensburg, New York offers new Ford Mercury Cars, Trucks, SUVs and Crossovers. What will your Miracle sound like? Find out at our new, state-of-the-art facility, now conveniently located at Mount Royal Plaza! Berkshire Farms is a nonprofit child welfare agency. Warren, Washington & Albany Counties ARC advocates for people with intellectual and developmental disabilities. Services include residential programs, habilitation services, guardianship and advocacy, and Medicaid Service Coordination. The Hair Cutting Company is a salon in Queensbury, NY. Catholic Charities of Saratoga, Warren and Washington Counties offers a variety of services such as counseling, domestic violence victim assistance, a group home for adolescent boys, HIV/AIDS help and services for the elderly and disabled. Find out more about about Hops & Barley Market. Nail Art is a nail salon located on Upper Glen Street in Queensbury, NY. Northgate Barber Shop is located on Route 9 in Queensbury. Enjoy a challenging, safe workout with a certified instructor in a welcoming, fully equipped studio. Styles hair salon in Queensbury will bring out your inner beauty! Call them today! H & V Collision Center, Inc.
We offer hassle free collision repair in the Capital District of New York State. In need of a new 'do? The team at Advanced Hair Designs can texture hair and style it to make you look stunning. Stop in the salon on Ridge Street in Queensbury to get a whole new look today! 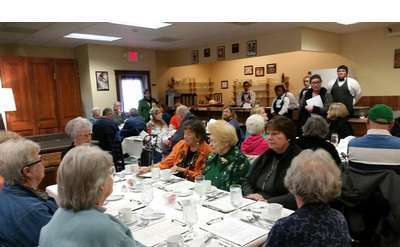 Partners in Care Giving Inc.
Partners in Care Giving is a Social Adult Day Service Program for those with Alzheimers and Dementia. Your family members will be able to socialize and take part in activities in a secure setting run by knowledgeable nurses and caregivers. High Peaks Hospice & Palliative Care, Inc.
High Peaks Hospice & Palliative Care, Inc. provides end of life care that listens with respect, cares with compassion, supports with choice and comforts with understanding wherever you call home. State of the art automotive recycling center, shipping both new and used parts nationwide! Speedway on Quaker Road in Queensbury offers snacks, soft drinks, coffee and more in addition to fuel. We strive to provide quality workmanship with honesty and integrity. The CWI Client Home on Big Bay Road is one of four Individualized Residential Alternatives (IRA) in the Queensbury area. Residents receive help with everyday tasks in the community-style residences. Now open in Downtown Glens Falls! Jason Campopiano PT, Cert MDT offers physical therapy services in a comfortable and caring atmosphere in the Union Square building. Offering treatments for back/neck pain, sports injuries and post-operative care. The Karate Center dojo in Queensbury has been turning out students skilled in the Japanese Martial Arts for over 40 years. Students of all ages are welcome to choose from over 30 karate and self-defense classes. New Beginnings Church Community Church Inc. Pilot Knob Marina features new and used Chapparal boats, the winner of numerous awards for product excellence, including Boat of the Year. HOMEFRONT DEVELOPMENT CORPORATION is a private, not-for-profit organization serving Warren, Washington and northern Saratoga. D'ELLA Auto Group in Queensbury, NY treats the needs of each individual customer with paramount concern. We know that you have high expectations, and as a car dealer we enjoy the challenge of meeting and exceeding those standards each and every time. Allow us to demonstrate our commitment to excellence! Welcome to the Visiting Nurse Association of Albany Home Care Corporation. We are a New York State licensed, JCAHO Accredited Home Care Agency. The American Red Cross in Glens Falls is one of the Red Cross Chapters in the Eastern New York Region. The humanitarian organization works to prevent and alleviate human suffering in the face of emergencies. Big Brothers Big Sisters of the Southern Adirondacks, Inc.
Big Brothers Big Sisters is the oldest, largest and most effective youth mentoring organization in the United States. Here at BBBS of the Southern Adirondacks, our vision is that all youth achieve success in life. Currently, we have about 60 matches. Established in 1948, the Warren-Washington Association for Mental Health, Inc. (WWAMH) is a not-for-profit provider of community mental and behavioral health services. A New England Nanny Ltd.
Castaway Marina is a family-owned, full-service marina located on beautiful Lake George offering boat sales, service & parts, dockage, storage, launch, gas, and a pro shop. 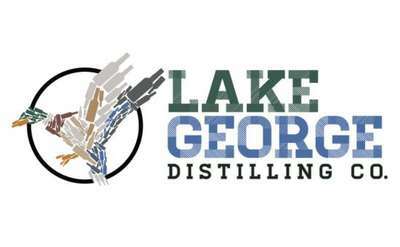 The only Top 100 Rated Dealer in the USA located in the Lake George Region. Whether you have something in mind, or you want to leave it to the experts, the stylists at LA Mirage Hair Salon will do their best to make sure you live with a cut and color you love. Fueling up on snacks & drinks? Scan your Speedway Card to earn points towards free fuel, food, merchandise and more. We are on call 24 hours a day to provide support to your facility on Capital Projects, scheduled Maintenance Shutdowns, or emergency repairs. Providing Library services and programs to the Glens Falls region. Visit McCann's Pharmacy in Hudson Falls for all your prescriptions! Let us help you plan the trip of your dreams! 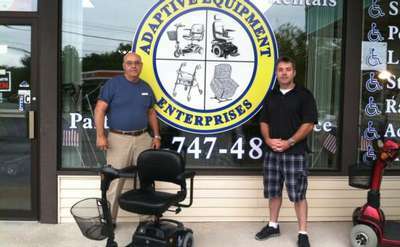 P A Medical Supply, Inc carries prosthetic devices, orthopedics, wheelchairs, breast prostheses, hospital beds and more. The Hair and Nail Studio is an Aveda Concept Salon. You'll love their natural, plant-based hair products, skincare and makeup line. The salon is open Tuesday through Saturday. Open until 8 p.m. Tuesdays through Fridays to accomodate busy schedules, Sagamore Style II Hair Designs has feather extensions, nail services and ongoing specials. Find them in the Mark Plaza next to Dream House Furniture. Located in Lake Luzerne, NY, Luzerne Music Center (LMC) offers eight weeks of intensive music training for students, ages 9-18, and presents 32 free and low-cost classical concerts for the public during the summer months of June, July, and August. Who did you want to be when you grew up? None of us wanted to be the woman who still outgrows her jeans every year, or the guy who gets winded climbing up the stairs. The qualified volunteers of Caritas of Glens Falls are a caring support system for terminally ill people and their families. They can help run errands, shop and provide transportation services as well as provide respite for caregivers. The talented ladies at Salon 305 are full of ideas that will help you look your best. Whether you're looking for the perfect shade of hair color to bring out your eyes, or you're just in need of a trim, Salon 305 is the place for you. Your dog will love a day at Dog Logic! 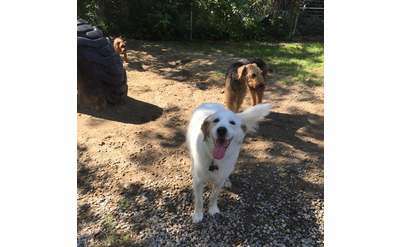 Doggy daycare includes playtime, lunch and nap time. If your dog could use some manners, they offer group and private obedience lessons. Additional services available. As a Mary Kay Independent Sales Director, I help women live their best life! I offer personalized skincare and customized makeovers, and I'm here to tell you that this business works! I look forward to sharing with others Mary Kay Opportunity. 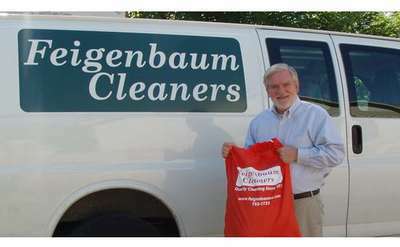 Next to O'Tooles Restaurant on Quaker Road, Feigenbaum Cleaners in Quaker Plaza offers expert dry cleaning, alterations and free pick-up and delivery service to homes and businesses in the area. Glens Falls Kennel Club, a member of the American Kennel Club, offers a variety of classes including obedience, conformation and agility training. Ask about the AKC S.T.A.R. puppy training program. The Moreau Community Center is a 501(c)3 organization. The mission of the Moreau Community Center is to meet the multi-generational needs of the community in a compassionate and inclusive environment. Glens Falls' Salvation Army is a nonprofit organization that seeks to help less fortunate families, seniors, and the homeless. Donations allow the Salvation Army to provide food and goods to those in need. CWI Treatment Center - Quaker Rd. 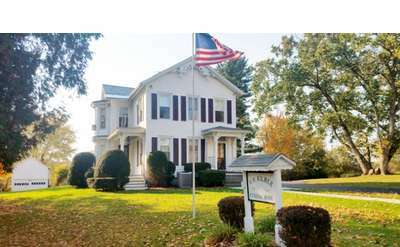 The CWI Treatment Center on Quaker Road continues CWI's mission of providing services to disabled and mentally ill clients. Raising awareness of and support for endangered short-eared owls & at-risk birds of the Grasslands. Planned Nature Center will benefit area residents thru fun programs, trails, events & tourism. The Northland Friendship Club is a recreation center located on Aviation Road. The Lions Mane is a salon in Queensbury, NY. Mickey Choppa's Hair Styling Team keeps clients coming back because of their friendly stylists who provide quality cuts and coloring. The salon is on Quaker Road in Queensbury, NY. The Adirondack Samaritan Counseling Center provides quality mental health services to children, adolescents and adults residing in Warren, Washington, Essex and Saratoga Counties since 1983. Appliances Unlimited has nearly everything you could want when it comes to appliances. They carry a large selection of antique appliances, parts and reconditioned appliances. Bring your old appliances to be recycled responsibly! Independent pet supply store carrying premium food brands, tough toys, supplements, and more. Looking for a new family member? Benson's has birds and small mammals as well as partnerships with local dog and cat rescues. HCR Home Care provides the best quality home care with highly skilled, compassionate health care professionals and has been a fixture in Western New York for over 35 years. 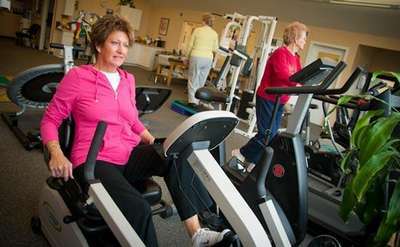 Services include nursing, home health aides, physical therapy and more. tHAIRapy lounge is a salon that specializes in integrating customized color & foil services with a precision haircut designed for YOUR hair. Beautiful, dimensional hair with a variety of style choices, looking fabulous long after your salon visit! At Nemer Ford, the needs of each individual customer are of paramount importance to us. We know you have high expectations and as a Ford dealer we enjoy the challenge of meeting and exceeding those expectations every time we do business. Family Interventions has helped hundreds of families throughout the United States save their loved one's life through an Intervention. Sitting on over 1,000 acres of land, Battenkill Hunting Preserve has a variety of native and exotic game including red stag, whitetail and fallow. After a long day of hunting, the five-bedroom lodge is a welcome retreat with beautiful views. Employer Resource Networks are private-public consortia whose purpose is improved workforce retention through employee support and training. This is possible through the Success Coach services offered on-site to ERN member companies. The Harrisena family has participated in outreach programs for many years. Currently, we sponsor the local soup kitchen known as the "Open Door". Our members donate food and money to help the Open Door serve hot meals at least one night per month. Feathered or furry friends will be treated with top level care from the professionals at Glens Falls Animal Hospital. 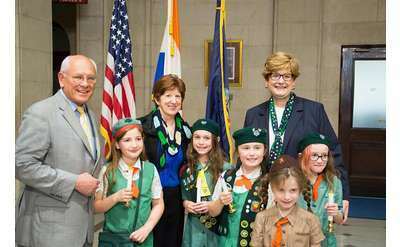 Founded in 1922, the Rotary Club of Glens Falls takes part in several community service projects throughout the year including a Youth Exchange Program, scholarships and fundraising to benefit children in third world countries. T.L.C. Boat Service offers a wide array of boat services including refinishing, fiberglass and wood repairs, as well as winter storage. They specialize in Volvo Penta, Mericruiser and OMC boats. Regan and Denny Funeral Service Inc. The Feeder Canal Alliance, a 501c3 founded in 1987, preserves, promotes & protects the Glens Falls Feeder Canal & Towpath Trail through responsible recreation, environmental education and interpreting & preserving the history of these resources. 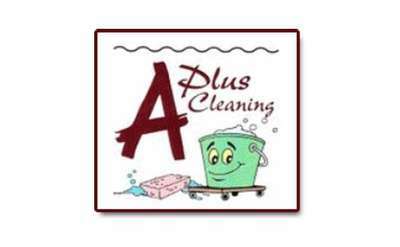 At Aerus, formerly known as Electrolux, they are committed to home cleaning solutions that are environmentally friendly and won't add harmful chemicals to your home or to the planet. At Hair Studio One, the stylists and staff work hard to make sure their clients look great not only the day of their hair cut, but that their style looks just as lovely as it grows out. Vantage Pointe exists to reach people in the Glens Falls region who are waiting to meet Jesus Christ and become involved in a healthy, growing community of faith. Fully insured and completely reliable, Dependable Chimney Sweep will keep your fireplace clean and efficient. At Countryside Veterinary Hospital in Queensbury, veterinary team of Dr. James V. Keller and Dr. Andrea Kitson Keller will make sure your cat, dog, pocket pet or reptile is in tip top shape. Convenient hours including nights and weekends. 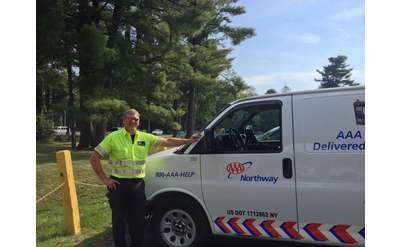 Serving the Queensbury area for more than 60 years, the North Queensbury Rescue Squad has a long tradition of excellence in emergency services. Keeping you safe on the lake, on the road and in your home, the Squad also hosts holiday events for kids. The Boy Scouts of America is the nation's foremost youth program of character development and values-based leadership training. The Fort Orange District serves the entire area of Albany County. SAIL is here to empower, educate, and equip our community to increase independence! The Center will promote the concepts of self-determination and person centered planning for work, leisure and life. Junior Achievement is Northeastern New York's largest organization dedicated to educating students about issues relating to work readiness, entrepreneurship and financial literacy through the use of experiential, hands-on programs. Board your cat or dog at Tails Wag Inn. Their team will care for your pet with love. They also offer grooming services and obedience training. CWI Helping Hands Day Services on Route 9 in Queensbury is for individuals who want to brush up on skills, volunteer to help people with disabilities, or those with disabilities themselves. Curves can help you burn up to 500 calories in only 30 minutes with their circuit training system designed especially for women! Now offering exciting programs incorporating the Zumba Fitness workout. FAVOR...Find and Assist Veterans of Record. Businesses, Professionals, Organizations recognizing and rewarding Veterans for their service to country. Interim HealthCare is a name families and physicians --- as well as successful franchise owners --- have trusted for more than 40 years. Helping Youth Navigate Life's Challenges: Education, information, and referral services on the subjects of alcohol, tobacco, drug & violence prevention. Dogs by Helene will give your dog 5-star treatment for nail trimmings, bathing, clippings & more. Have a dog with sensitive skin? They have a variety of shampoos formulated for sensitive skin, dogs with allergies and more. Fish Brothers Marine Service in Queensbury has the newest models of inboards and cabin cruisers. The women of Ultimate Imagine salon will leave you looking marvelous. Aside from cut and color services, the salon also offers South Seas full body air brush tanning, waxing and massages. Closed Sunday and Monday, but open late Thursday and Fridays. Come to Whiteman Chevrolet, where friendly faces and certified professionals can assist your every need. A full service salon featuring experienced stylists dedicated to helping you look and feel your best. Get your hair done at Bella Ridge Salon & Spa! Reuben Smith's Tumblehome Boatshop provides fine wooden boat building and expert, detail-oriented restoration services. Bring your pet to Adirondack Animal Hospital for routine exams, dental care, diagnostics and more. Their team of experts have been treating pets for more than 40 years. Dunham's Bay Fish and Game Club is a 50 bench shooting range under a covered roof. Members can shoot legal handguns and rifles at the 200-yard range. 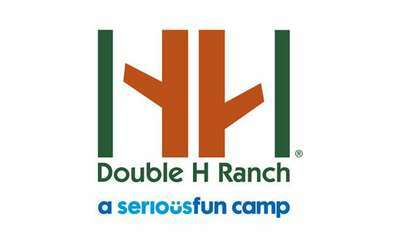 The membership fee includes your immediate family and grants access to the clubhouse and range. 650+ members strong,the Glens Falls Hospital Guild has provided close to 2 million hours of service in the daily operation of the hospital. Formed in 1903 this dynamic, diverse group has raised nearly $3 million -all gifted to Glens Falls Hospital. The Fund for Lake George is an organization dedicated to the protection of Lake George and its nine surrounding communities. Open Tuesday through Saturday, Charo's European Hair Salon offers custom hair coloring, cuts and styles. They'll help you achieve the look you've been admiring on your favorite celebrity. After a free hearing test, the knowledgeable staff at Audiocare will take the time to explain the results and help you find the best hearing instrument for you. They also offer special phone and TV technology designed for the hearing-impaired. Family-owned and operated, World Class Kids creates developmentally-appropriate goals for your child and works to help them reach them through play and educational activities every day. There are six different classrooms based on age and ability. Our Vision includes the families of our community that practice the Chiropractic Wellness Lifestyle and therefore experience a lifetime of Optimal Health & Vitality! With more than 15 years of veterinary experience, the team at Quaker Animal Hospital will give your pet the care they deserve. From routine exams to xrays and surgical procedures, they offer a large variety of services under one roof. The Glens Falls Business Improvement District (BID) is a nonprofit volunteer led organization dedicated to working with City leaders, downtown businesses, other nonprofits and local residents to revitalize our City's downtown. Royal Nail on Route 9 has the popular gel nail system that's stronger and will last longer than a regular manicure. Designed with individuals in mind, CWI Day Habilitation Services in Queensbury focuses on increasing productivity and independence for seniors and people with disabilities. 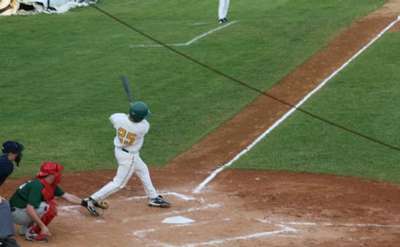 Rob Gautreau is a physical therapist in Ticonderoga, NY. At Queensbury Animal Hospital on West Mountain Road in Queensbury, the talented veterinarians treat your animals like their own. Compassionate Relief Centers of New York, Inc. The mission of Community, Work and Independence, Inc. (CWI) is to help individuals with disabilities, those recovering from brain injuries, and economically disadvantaged people gain skills that will be useful in the real world. WAIT House provides Emergency Shelter for Homeless Youth and a Transitional Living Program for Homeless Pregnant and Parenting Youth ages 16 up to 21 and a permanent housing assistance program for individuals 18-25 and families. ANTHEM Health Services provides the full spectrum of in-home medical care including home infusion and respiratory care services, a whole host of medical equipment services, and much more. They can also help with billing and insurance inquiries. Adirondack Health and Safety a family owned and opperated CPR/First Aid & OSHA Comp. training center based in Glens Falls, NY. We provide training in multiple areas to Health-care providers, Industry & Companies of any size as well as Individuals. Glenview Elder Club is an adult daycare facility that provides social interaction for your elderly family members in a safe, loving environment. Smith Boy's newest location in Queensbury has everything you need to have a great time on the lakes of the Adirondacks! Top names in power boats and pontoon boats are available to rent and buy. The Adirondack Health Institute is located in Queensbury, NY. Planning a group bus tour of the Lake George / Adirondack Region? Choose Hayfield Quality Tours, Receptive & Tour Operator, with over 32 Years of experience! Contact Doris Herwig, Tour Planner, to start planning your guided group tour today! The only locally family owned funeral home in Queensbury, Baker Funeral Home is proud to serve the community with traditional family values and a sympathetic approach. Just behind Dunkin Donuts on Route 9, the New Wave Hair Studio will give you a look you'll love and teach you how to maintain your new look at home. The friendly staff uses the full line of Redken products to help you achieve your full potential. Full service groomer offering bathing, haircuts, trims, facials & more. For dogs that get lonely while you're at work, bring them in for a day at doggy daycare where they'll enjoy playing with friends. 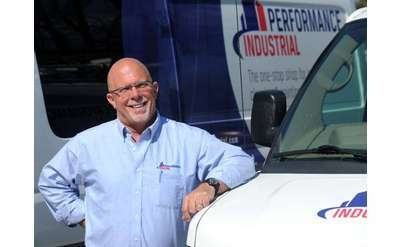 Our highly trained sales staff has earned a credible reputation with their many years of service and commitment. Our goal is to make sure that each of our customers receives the quality service that we have built our name on. Since 1969, Fort Hudson Health System has provided an inclusive and individualized approach to senior care services. Its emphasis on assuring the highest standard of care has allowed the company to built a strong reputation in the capital area. Warren Tire Service Center Inc.
Our reputation has been built through over 26 years of quality service. We will save you time and money by getting it right the first time! Fill up your gas tank & stop in for snacks, drinks, candy and more at the Aviation Road Speedway. Located just off Exit 19 of I-87. Lindsay Bodkin, Reiki Master Teacher and owner of Ladybird Light, LLC provides Reiki sessions for adults, children and also animals! Reiki Certification and Training and Animal Communication Workshops are offered as well. Pick an activity and we'll pair the wine. The Northeast Parent and Child Society serves children and parents in the Upstate NY area in a variety of ways; from programs promoting children's mental and physical wellbeing, to a children's home, children's shelter and treatment centers. Living Well Coaching in Bakers Mills offers a variety of coaching packages to help you achieve the life you've been wanting to live. Paired together with workshops, retreats and yoga, Living Well will help you make changes that matter. SuperCuts is more than just great hair cuts at an even greater price. They have new treatments like the Tea Tree service, featuring scalp-tingling shampoo and conditioner and head and neck massage! When a child is abused or neglected, it is incumbent upon us as responsible adults to bring care and healing to them as soon as possible. The staff at Epiphany North include talented hair designers that strive for equal success with continued education and technical skills in an ever evolving industry. The Adirondack Branch of AAUW was established in 1920. We have about 70 members with diverse educational and employment backgrounds who work together to fulfill the mission of the American Association of University Women. We can offer collision and automotive repair, windshield replacement, paintless dent removal and 24 hour towing. Our auto repair facility has been approved by AAA. Suzanne & Company is a hair salon on Aviation Road in Queensbury, NY. 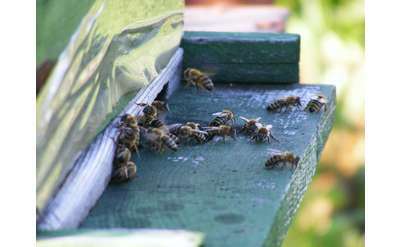 Nature's Way Pest Control is committed to applying the principles of Integrated Pest Management to control pest in residential and commercial settings. Whether you're looking for an everyday hair cut or an up-do on prom night, Bo Rics will make you look beautiful. In addition to normal weekday hours, they're open Saturday 10 to 6 and Sunday 12 to 5. Serving pet owners from all over central and northern NY and VT. We have a highly trained team of veterinarians and licensed veterinary technicians that are here 24 hours a day, 7 days a week to care for your pet. Minutes from the ACC, North Country Academy's Queensbury location has outdoor playgrounds, computer education sessions and teachers your children will love. You can be confident your child is safe in the video/audio monitored classrooms. With over 4,000 square feet of rock walls, RockSport climbing walls will constantly challenge you to do better and climb higher. The friendly, knowledgeable staff is happy to help you climb indoors or out in the Adirondacks. Adirondack Flower, in Glens Falls, offers flower arrangements, bouquets and more!